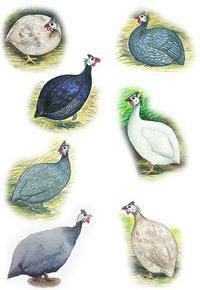 The currently shipping group of Assorted Guineas is 12 weeks and older. How are juvenile live birds shipped? Juvenile birds are shipped Express Mail via USPS. They are in transit 1-2 days, depending on USPS routing. The birds will be held at the post office for pick up. The post office will contact you by phone upon arrival.